Congress has three weeks — the deadline until President Donald Trump has threatened toshut down the government again, declare anational emergency, or both — to come to a deal on border security. Before the shutdown, there was growing bipartisan attention to the issue. But in the past month, the border debate has gotten trapped in Trump’s black-hole gravity. The president rambles on about crime and drugs andtaped-up women; Democrats reply that actually, unauthorized border crossings have plummeted since 2001, and crime in border communities is low, and asylum seekers aren’t criminals. 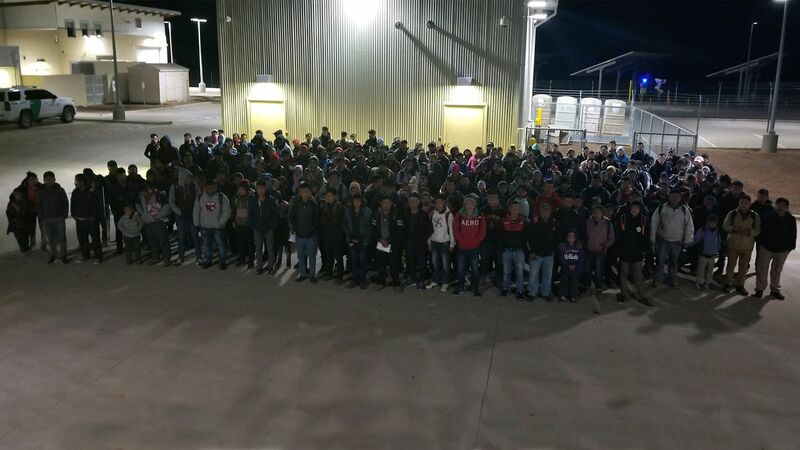 This group of migrants turned themselves in to Border Patrol agents at Antelope Wells, New Mexico — the remote border crossing that Jakelin Caal Maquin (who later died at a hospital after a night in Border Patrol custody) and her father had used — on December 24, 2018. One of those migrants, 7-year-oldJakelin Caal Maquin, died later that night — the first death of a child in CBP custody in more than a decade. While we can’t know for certain how many people who came during the George W. Bush-era peak of unauthorized migration were children or families,estimates based on data going back to 2001show that the number of migrants under 18 apprehended in 2018 likely approached its previous peak in the mid-2000s. The policy for dealing with unauthorized border crossers has also changed. In the mid-2000s and earlier, most people caught trying to enter the US illegally were quickly and informally returned to Mexico. When the US startedformally deportingmore and more unauthorized border crossers, they started detaining them until a formal deportation order was issued — or, for asylum seekers, until they’d passed a screening interview that could take weeks to schedule. Even before the deaths in custody — not to mention the shutdown — Customs and Border Protection Commissioner Kevin McAleenanwas warningthat the current setup for migrant children and families wasn’t sustainable. The problem was both facilities and time. Temporary way stations like the one in Antelope Wells weren’t suited for anyone to be held there, much less children; even better-equipped facilities don’t always havefood that meets the nutritional needs of children under 10. This group of children and families turned themselves in at Antelope Wells during the shutdown — where they were apprehended by unpaid Border Patrol agents. Both the Trump administration and congressional Democrats were focused intently on this problem in December, after two children died in CBP custody. 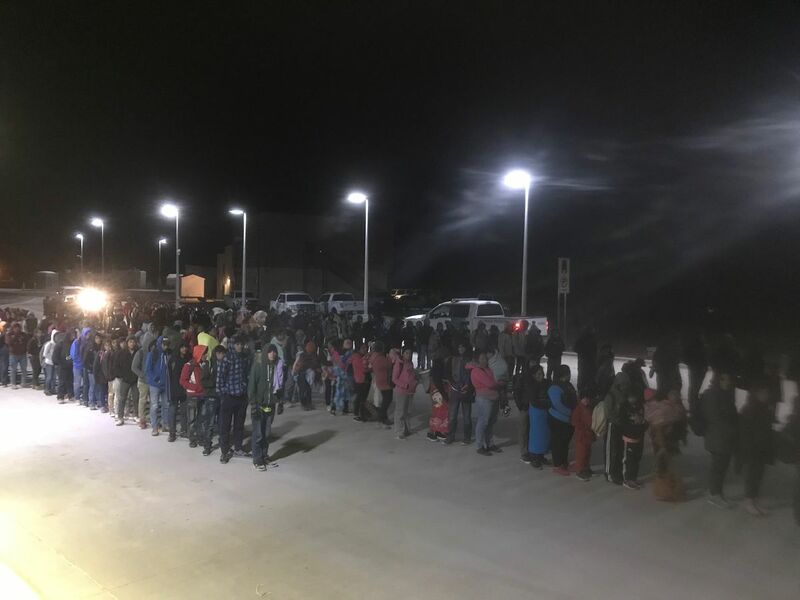 Each side was blaming the other, but theattention still led to reform: the institution of standard medical checks for all children in custody, and a “surge” of humanitarian resources to the border. And theWhite House’s response to the deathsargued the crisis was really something else: the choice made by parents to bring their children to the US without papers, and the “loopholes” in federal law that required the federal government to release families from immigration custody while their immigration cases were pending. While the Trump administration’s decision to keep families in detention by default upsets most activists, who point out it might be cheaper to monitor them in other ways, no one is enthusiastic about mass dumping of confused people. (After the last week of December, ICE appears to have stopped dropping off families at bus stations without warning, but there’s onlyso much that local nonprofits can doto care for the hundreds of people getting released.) Any alternative — such as requiring ICE to have a more robust relationship with nonprofits, or even help support their work financially — costs money and attention too. But the actual crisis is more immediate — a question of who is coming over nowand what is available for them when they do. It won’t get addressed unless Congress chooses to start (or resume) paying attention to it.